There are many wonderful new things newlyweds receive following their wedding. Presents, wedding rings, a new last name, just to name a few. 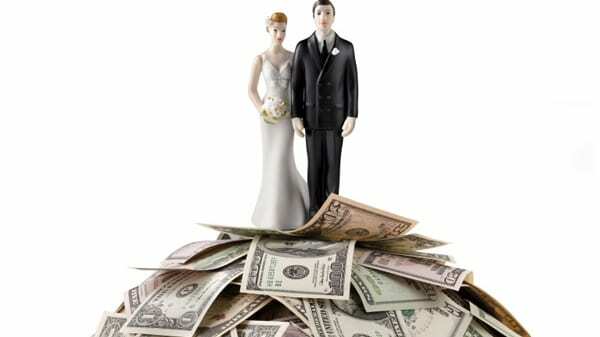 One thing newlyweds don’t want to acquire is a load of wedding debt. Traditional wedding expenses can leave couples drowning in debt or depleting a lifetime of savings before even walking the aisle. And that’s no way to start off a marriage. So let’s talk about Florida Beach Weddings on a budget . Do the words affordable budget and wedding planning even belong in the same sentence? Yes! Before beginning any planning, do your homework. What is your budget? Planning Florida Beach Weddings on a budget can carry different price tags for different people. But even if you have the slimmest of funds, a little creativity and an affordable wedding package can come together for the beach wedding of your dreams. Once you’ve established your bottom line budget, it’s time to get to planning! Now don’t jump to the wedding ceremony planning just yet. Think of all the non-negotiable items involved in your Florida Beach Wedding Budget. It’s a common mistake to skip right to the wedding planning and neglect travel and lodging costs. So avoid any sneaky, costly, surprises with your wedding budget by considering the following. There’s a great tool to get an estimated cost calculator for traveling. And if you already know your beach city location, you can get even more accurate budget costs by city. Flying? Driving? Check out travel costs, bearing in mind calendar dates may cause variations in price. Websites, like Trip Advisor, allow you to search for by date, airport, and travel preferences. Driving? Google Maps allows you to type in your location and destination for mileage and food, hotel, etc. along the way. Check out our beach locations page for your beach destination location. The average cost for a hotel in Florida is around $100-$200/night. Of course you can find more budget friendly places or live the luxurious life and go all out. So that’s a starting point. Again, check out the cost calculator by city to get a better idea. This is a budget point that will sneak up on you before you know it. The average cost for food is $44/day! However, finding a hotel with a kitchen/kitchenette can cut down on that price substantially. So if you’re on a tight budget, add nhotel room kitchen to your must have list and you can save $100s on food. The great thing about Florida Beach Weddings on a budget is you have built in free entertainment- the beach! So a bathing suit and sunscreen could be your only expense here! But if you’re looking to hit up a concert, visit a theme park, book a fishing charter, or other fun Florida activity, consider those costs. Bridal gowns and suits vary greatly in price. Some of the pricier gowns can be in the thousands, but the great thing about a Florida Beach Wedding is the laid back atmosphere. That means lots of options for the bridal dress code. You can find a casual beach wedding dress for less than $100. Or check your local swip swap/resale stores if you are set on that traditional wedding gown without breaking the bank. Same goes for the groom. A nice pair of khakis and white button down fits right in on the beach and your budget. In an age where technology is king, the e-vite is a perfectly suitable and cost efficient means of inviting guests for Florida Beach Weddings on a budget. That should cover just about all the non-negotiable wedding costs. So now, let’s move onto your big day.. choosing your budget friendly wedding package. Now that you’ve calculated costs for all the “other” wedding planning items, it’s time for the best part! Florida Beach Wedding Packages! Florida Beach Weddings offers intimate elopement packages all the way to ultimate beach party wedding packages! The next step is to visit our Florida Beach Wedding Packages page and find your perfect wedding day set up! Package prices start at $699 and go up to around $2,000. And the best part is that includes everything! You show up to the beach and Florida Beach Weddings does the rest. Florida Beach Wedding Packages are all inclusive and our affordable package prices allow you to truly have it all. Now that you have a clear budget outline, it’s time to make the “free” decisions. Wedding date, specific location, vow choices, color schemes…Contact us today to start planning the Florida Beach Wedding of your dreams. Planning your Florida Beach Wedding? Browse our budget-friendly beach wedding packages!